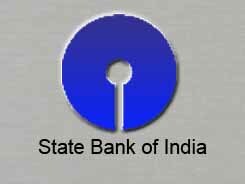 The Bank has posted a net profit of Rs 2742.31 crore for the quarter ended March 31, 2009, up 45.61% against Rs 1883.25 crore for the quarter ended March 31, 2008. Further, lender's total Income has also increased from Rs 16393.93 crore for the quarter ended March 31, 2008 to Rs 22060.61 crore for the quarter ended March 31, 2009. For the year ended March 31, 2009, the bank has posted a net profit of Rs 9121.24 crore, registering a growth of 35.54%, as compared to Rs 6729.12 crore for the year ended March 31, 2008. The lender also witnessed a surge in its total Income, which increased from Rs 57645.24 crore for the year ended March 31, 2008 to Rs 76479.22 crore for the year ended March 31, 2009. Apart from announcement of results, the Central Board of the Bank at its meeting held on May 09, 2009, inter alia, has declared a dividend of Rs 29 per share (290%) for the year ended March 31, 2009. The scrip of the lender settled on Friday at Rs 1325 on BSE, down 3% compared to previous close of Rs 1367.